Licensed Practitioner of NLP® live trainings! And that’s just the start…. We all need to communicate–with your customers when you’re closing that big sale, with your boss when you’re negotiating a raise or explaining your ideas, even with your children and loved ones. Perhaps you don’t always communicate in a way that gets you the results you want. Perhaps your boss doesn’t see the value in your ideas, or your customers don’t see the value of your product or service, even though you know it’s the best option for them, bar none. Or perhaps you want to communicate more effectively with those you love, strengthening and deepening those bonds. Perhaps you’ve been amazed at how easily some people seem to close deals, to get their way, to lead others by communicating with power and ease. You may wonder how they do it. You may wonder if they have “magic,” exerting some mystical influence over others. It’s not magic–they’ve just learned the secrets behind masterful communication. So can you! Imagine how you will feel and behave when you know precisely how to talk to anyone to get your message across in a way they find almost irresistible. to develop the most powerful method of personal change and influence ever. 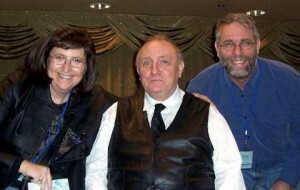 Modeling genius Richard Bandler and master linguist John Grinder developed Neuro-Linguistic Programming during the 1970’s. It’s science that works like magic. Neuro-Linguistic Programming, or NLP, is recognized as the most effective persuasion and communication tool ever developed. Remember, Ronald Regan, the “great communicator?” His speech writers were among the first to use NLP techniques in his political speeches. And now, every politician uses it! NLP teaches you the science behind the magic so that you, too, are a master communicator, able to persuade and influence in ways you never before dreamed possible. Neuro-Linguistic Programming is all about how your mind works, how we represent experience to ourselves, and how you use language (both verbal and nonverbal) to create your experience. How you learn. How you experience the world. How you influence others. How you code experience and retrieve experience. NLP originated from a study of human excellence, how creative, successful people do what they do, and how you can learn to run your own mind elegantly, alter behavior, and replicate their success in your own life. NLP is an attitude! NLP is a methodology! NLP is a technology! Neuro: Nervous system through which experience is received and processed through the senses. Linguistic: Language and non-verbal communication systems through which neural representations are coded, ordered, and given meaning. Programming: The ability to organize our communication and neurological systems to achieve specific desired goals and results. Perhaps you are already a therapist using hypnosis or another kind of therapy, and, as a therapist, you are always looking for ways to help your client even more quickly and effectively. You may have heard some things about Neuro-Linguistic Programming (NLP) such as its technique for stopping deep seated fears in twenty minutes or less, its technique for relieving allergies almost instantly or its techniques for opening up the world to you and your clients in ways you never even thought possible. If you don’t know these techniques, these and many more like them are yours with our Seattle NLP training. 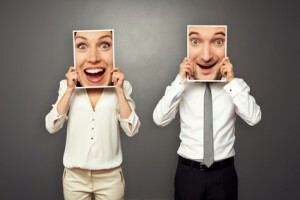 Perhaps you have heard that NLP can change people’s emotional states almost instantly. How would it be if you could relieve stage fright in just a few minutes and be able to test the result so you knew it worked? How would it be if you could destroy triggers for smoking almost instantly? Or if you could destroy bad habits instantly, replacing them with good habits that seem completely natural and easy for your client? Perhaps you are a therapist stuck in the grind of reading scripts, and would like to develop incredible skill at going beyond the scripts to understanding why they work or don’t work. Perhaps you would like to be able to develop therapeutic patter on the fly, precisely matching the things your client needs to hear to make the changes he or she wants. With our tools and techniques, it’s easy! As you attend your NLP training with us, you find insight after insight that you can put to immediate use in your own practice, improving customer outcomes faster and more easily than you ever thought possible. As your client leaves your office, you know he will be telling all his friends how powerful and effective you are. Anchoring/Anchor Collapse: Learn how to change a client’s emothional response to any context. Imagine easily changing your client’s worst fear into calmness and confindence. Imagine how easily you can change bad habits into good ones by giving your clients the feelings, attitudes and beliefs they need for change. Calibration: Learn how to read someone, knowing whether the change work you have done is complete and will last. Rapport: This important NLP skill improves every client intervention by making it easy for the client to follow your directions, and to accept what you are doing as a way to improve their life. Meta-Model: This NLP technique helps you get to the root experiences of a client’s problem, and helps you “get inside” someone’s head to command greater influence and to make your change work more effective. Milton Model: The hypnotic language patterns of Milton Erickson are so powerful, so effective, you can induce trance conversationally to increase you therapeutic influence 10, 20 40 times what it is now. Swish Pattern: Change feelings, attitudes and beliefs quickly and easily for your, your customers and your clients. Change Personal History: Learn to heal old wounds that keep you from moving forward. Get rid of all those images and sounds telling you you “can’t do” it. And so much more! Bonus presentations on NLP for Sales, and NLP for Personal Development. Perhaps you feel you success in sales is held back by unwanted feelings. Perhaps you just don’t feel comfortable making cold calls so you avoid them like the plague. Perhaps you procrastinate, putting off projects until it’s too late or until you have to rush to complete them. Or your confidence drops just when you’re about to make the big close. Perhaps you don’t always recognize when your customer or client is about to say “yes” to the deal and you oversell. Perhaps you stay in a rut because you fear rejection. How much would your sales improve–10, 20, 50%–if you could change what is holding you back the most? What would it be like if you could instantly control your feelings? What if you felt excited and upbeat about cold calling, or even just comfortable doing it? What if your biggest worry about cold calling will be that no one will answer the phone? What would it be like if you felt powerful motivation to do the things you need to do to be incredibly successful? What would it be like if you always felt comfortable and confident selling your quality product or service, and your customer knew, felt it, and responded to it? What would it be like if your could “read your customer like a book,” knowing what precisely to say and do to close the deal? A study at Harvard University of 100,000 salespeople showed that just 4% of the sales people in the US sell 94% of the goods and services. How much more successful will you be when you become a top sales person though the power of NLP. Imagine closing deals others thought un-closeable, and establishing such powerful rapport with your clients and customers that they can’t wait to do business with you again and again. Anchoring: Learn how to associate positive emotions to your products and services. Imagine being able to create irresistable desire on the part of your prospect for your quality product! Imagine them feeling so good about the interaction that they come back again and again to do more business with you. Calibration: Learn how to read someone, knowing exactly where you are in the sales process and when it’s time to close the deal. Rapport: This important NLP skill improves every interaction with your prospect. Meta-Model: This NLP technique helps you get down to what the prospect really wants and needs to magnify your ability to sell 100 fold. Imagine being able to match your products with what the prospect really wants. How much would that increase your sales. Milton Model: The hypnotic language patterns of Milton Erickson are so powerful, so effective, you can to increase you persuasive influence 10, 20 40 times what it is now. Or maybe, on a personal level, you feel “stuck,” unable to move forward in your life, almost like some unconscious force is holding you back. Perhaps you have undesirable habits such as procrastination, lack of organization, inability to focus or concentrate that keeps you from your goal. There are many things that can hold you back, and, as you think now of some of those things, you begin to realize how much more effective you are with those behaviors, attitudes and beliefs merely a thing of the past. NLP does this for you! Change is immediate, powerful and lasting. You’ll master these and more skills that will enable you to live a richer, fuller life. Anchoring: Learn how to recreate emotional states you can access any time you want. Imagine feeling clear headed and confident in situations that used to cause you dread. Calibration: Learn how to read someone, know what they are thinking and feeling. Rapport: This important NLP skill improves every aspect of your life, from sales to friendships. NLP techniques are by far the best available for establishing rapport–quickly, easily and effectively. Meta-Model: This NLP technique helps you get to the root experiences of a anything that might be holding you back from reaching your ultimate goals. Move beyond your current beliefs and attitudes and open up a whole new world for yourself. Milton Model: The hypnotic language patterns of Milton Erickson are so powerful, so effective, you can induce trance conversationally to increase you influence 10, 20 40 times what it is now. Swish Pattern: Change feelings, attitudes and beliefs quickly and easily for your, your customers and your clients. You can this change technique on yourself, for quick, easy and lasting change. Change Personal History: Learn to heal old wounds that keep you from moving forward. Get rid of all those images and sounds telling you what you “can’t do”. Yes, you can! If you think “How to Win Friends and Influence People” is powerful, wait until you experience the power of our NLP™ trainings. NLP™ blows that book out of the water! I wonder how you’ll feel when others spontaneously are drawn to you, agree to your ideas, or perhaps start doing more and more business with you. Live life on purpose. Are you tired of feeling like a piece of driftwood in life, like flotsam and jetsam bobbing on the surface of life? Just floating aimlessly, carried by currents outside your control? With our training, we give we you a sleek set of oars. Or if you prefer, we give you a high powered jet ski to ride those waves! In either case, you’re charting your own course. You decide. You decide your goals. We teach you tools to help you reach them, more quickly than you can think. No victims here! NLP is fast becoming recognized as the most effective communication tool to increase sales ever! Whatever you’re selling, be it cars, insurance, advertising, dishwashers, or yourself and your services, NLP magnifies your existing selling skills more than you can imagine. What’s more, NLP teaches you NEW selling strategies that just shatter the limits of the old. Shatter old sales records! I wonder how quickly you’ll notice how many new clients and how much more business these techniques bring you. This is a world of abundance. Learn how to get yours. Many people are blocked from achieving their financial goals because of their limiting attitudes and beliefs about money and success. That it’s undeserved. That’s it’s somehow negative to pursue wealth. We’ve all heard people say: “It’s easier for a camel to go through the eye of a needle than for a rich man to go to heaven.” NLP teaches you to release these limiting attitudes allowing your natural power to achieve wealth and success to manifest. Eliminate fear, stress, and uncertainty. Create joy, “C’mon Get Happy” now. There’s no reason not to have the life you love. To live the life you love. You can. You will. We’ll show you how. Learn how to react in any situation in a way that’s most likely to get you the outcome you desire. These tools streamline many, many processes for immediate change. What may have been a lifelong problem can evaporate like water in the desert, like an ice cube on the sidewalk melting in the August sun. Soon, there’s no trace. Once you have decided to make a change (and we can help you with that, too), and we unlock the vault to these secret NLP™ treasures with our training, change is now. No waiting! You are a winner! Maybe you just don’t know it yet. We’ll help you slip nicely into that power, and that knowing. A perfect slogan for NLP™ would be: “BE…all that you can be.” Only, that’s taken. It suits us better than it suits the military because we mean it and you can live it. This course teaches easy ways to use those language patterns shown and known to have the greatest impact on others. It’s like you’re putting them in an unknowing trance where the power of your language has maximum influence. Use these techniques and patterns to enhance sales, interpersonal relationships, and every aspect of your life. Supercharge your hypnotic interventions by adding NLP™ change patterns to the mix. Upgrade those skills. Rev your hypnotherapy success to the max. NLP™ & Hypnosis – together they are the perfect marriage. We also teach hypnosis. You want to learn from the best! 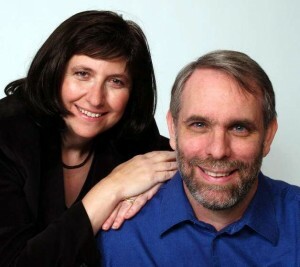 Check out our ” ABOUT US ” page for more about Connie & Michael Brannan, Licensed Trainers of Neuro-Linguistic Programming® certified through NLP co-originator, Richard Bandler, and the Society of Neuro Linguistic Programming®. Mindworks NLP is a fully licensed Private Vocational School, licensed through Washington State. This ensures educational quality. What do you want today? Whether you’re interested in NLP for sales, to enhance your therapy practice, or for persoanal development, you’ll learn to reprogram your mind so that you can get what you want! You’ll learn to reprogram your mind so your dreams become your reality! Successful completion of our practitioner course awards you a certification as “Licensed Practitioner of Neuro-Linguistic Programming™”, certified and recognized through the Society of Neuro-Linguistic Programming™. We also offer a “Licensed Master Practitioner of Neuro-Linguistic Programming™” training course. You will receive a certificate from the Society of Neuro-Linguistic Programming™ personally signed by Richard Bandler for each level of training you successfully complete. We are a fully licensed Vocational Career School in the State of Washington offering training in skills that will set you on the path to life mastery and wealth now. We offer an intensive format, 8 full days of training. Immersion and focus. After experiencing this, life will never be the same again. It will ROCK, and you’ll be rocking the world with your own power to create change. Our Seattle area Residence Training Program format is a series of 4 full weekends, or 8 days, of fun-filled lectures, demonstrations, hands-on training, supervised practice (lots of it), and field trips/study sessions out in the “real world.” In other worlds, comprehensive and FUN, with time to let the skills absorb and to practice between sessions. Become a Licensed Practitioner of Neuro-Linguistic Programming™! Class size is limited to insure each person receives personal attention. Enroll early to avoid any delay in achieving your dreams. The class is “hands on” and you will learn by the best method: you learn by doing! Financing is Available through Paypal Credit. Licensed Practitioner of NLP ® Certification Program – 8 days), $3495, (weekend format), March 23, 24, 30, 31, April 13, 14, 20, 21, 2019. Stage Hypnosis Training – 4 days, $895, Sept, 2019, TBA. The price for the Practitioner training is $3495 to experience and learn this life changing technology. The price also includes the initial certification fee charged by the Society of Neuro-Linguistic Programming. The price for the Master Practitioner training is $3495 to experience and learn even more of this sophisticated life changing technology. The price also includes the initial certification fee charged by the Society of Neuro-Linguistic Programming for the Master Practitioner License. A Practitioner certification is necessary to attend the Master Practitioner Training. .
Don’t miss out on this amazing opportunity to enrich your world and get the life you want! Enroll now by calling 425-564-8608. Receive Incredible follow up support with our NLP and hypnosis Training! Study groups. Keep learning and enhance your skills in a fun and supportive environment. Networking opportunities…Get instantly plugged into the Seattle NLP and Hypnosis community…network with some of the best hypnotists and NLP practitioners in the Seattle area. Special “package” discounts on ongoing training and special seminars. Call us for details! “Meeting you and Michael was THE BEST THING THAT EVER HAPPENED TO ME. It has changed my life completely in such a positive way. I refer EVERYONE to you, hands down!!! Thank You for everything!! !” –Kirsten Harris, Seattle, WA. “Connie and Michael are excellent trainers, and a pleasure to learn from. I’m excited to practice what I’ve learned, and learn more!” –Sean C., Seattle, WA. “Thank you for the great sales class, I’ve been closing deals like crazy this week!” –Kevin Selkowitz, Seattle, WA. “My name’s Kathy and I have completed the Master Practitioner course in NLP with Connie and Michael. I would like to recommend this course and all of their courses, any training from Connie and Michael. They are superb teachers…This training will change your life.” — Kathy Lester, Seattle, WA. “The NLP for Sales Seminar was great. I really found the techniques to be user friendly and easy to incorporate into my sales presentation. The work shop was stellar…we especially like the way the two of you work together. Ezzie is excited about NLP now, and wants to learn more.” –Alan A., Mill Creek, WA. “Very useful techniques to use in changing your life. Highly recommend it!” –Sheena Chandra, Bellevue, WA. “I’ve just finished the NLP Practitioner course. I took it because I’m in sales and marketing. And I felt that by knowing NLP techniques such as Ericksonian language loops, calibrating, and body language, mirroring and establishing deeper connections with my clients, I’ll be able to increase my sales. What I’ve noticed is that, since about a month ago, my sales increased by about 30%. I am establishing deeper, more meaningful connections with my clients and I am able to help them better. “This is a great course, and you really ought to take it! 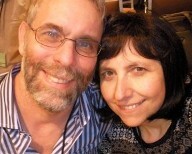 I came to Mindworks at a crossroads in my life, and I recommend Connie and Michael highly. Really, everybody is at a crossroads almost all the time in their life, so this course would be valuable for you anytime. With self improvement, helping your friends and family, and even going on towards a career in hypnotherapy.” — Scott Wooster, Seattle, WA. “I just got done with basic hypnosis class. I finished this class right on the heels of my NLP basic Practitioner training. I found this class a valuable addition to my NLP skills. If somebody is taking NLP class, they should definitely take hypnosis as well, and vice versa, because the two classes go so well together. So, now I feel that my NLP skillset is greatly enhanced! I have a lot more tools in my tool belt. And now I feel like I can help people even more with my newfound hypnosis techniques. So, I highly recommend this class for everybody who wants to enhance their knowledge.” — Roman Bogatchev, Seattle, WA. “Connie and Michael, The workshop was very valuable. I left with a growing understanding of the field of NLP. The more I see it demonstrated, the more I appreciate the power of the mind in all aspects of our lives. A day later, using memory and visualization, I can still recite the names of every one in attendance. Having left with a treasure trove of articles from Connie, and clarity as to the intent of NLP from Michael, I’m ready to put my knowledge into practice. Thank you for a very informative workshop.” –Patricia Klinger., Bellevue, WA. “Great NLP event. Good information for making sales and also improving personal development. I liked your practical examples mixed with helpful information, I hope you do more. ” — Chris Wilde., Seattle, WA. Mindworks Hypnosis & NLP is an Accredited Business with the Better Business Bureau of Western WA. Rating: A+. Keep in touch! Join our free e-newsletter list, we offer tips, stories, fun videos, events, and more. "Meeting you and Michael was THE BEST THING THAT EVER HAPPENED TO ME. It has changed my life completely in such a positive way. I refer EVERYONE to you, hands down!!! Thank You for everything!!!" --Kirsten Harris, Seattle, WA. “What a grand journey. A mere 4 days, and how very far I have traveled! Studying with Connie and Michael was such a pleasure. Both are fabulous instructors, making learning fun and exciting. And I became a hypnotist! Wow! Initially just the concept of learning trance induction was overwhelming but, with their combined years of experience and knowledge, technique and practical tips, the Brannans guided me through it all, filling me with confidence along the way. In fact, just one single technique alone made it worth the price of admission for me. "Thank you for the great sales class, I've been closing deals like crazy this week!" --Kevin Selkowitz, Seattle, WA. "My name's Kathy and I have completed the Master Practitioner course in NLP with Connie and Michael. I would like to recommend this course and all of their courses, any training from Connie and Michael. They are superb teachers...This training will change your life." -- Kathy Lester, Seattle, WA. "The NLP for Sales Seminar was great. I really found the techniques to be user friendly and easy to incorporate into my sales presentation. The work shop was stellar...we especially like the way the two of you work together. Ezzie is excited about NLP now, and wants to learn more." --Alan A., Mill Creek, WA. "Very useful techniques to use in changing your life. Highly recommend it!" --Sheena Chandra, Bellevue, WA. "This is a great course, and you really ought to take it! I came to Mindworks at a crossroads in my life, and I recommend Connie and Michael highly. Really, everybody is at a crossroads almost all the time in their life, so this course would be valuable for you anytime. With self improvement, helping your friends and family, and even going on towards a career in hypnotherapy." -- Scott Wooster, Seattle, WA. "Connie and Michael, The workshop was very valuable. I left with a growing understanding of the field of NLP. The more I see it demonstrated, the more I appreciate the power of the mind in all aspects of our lives. A day later, using memory and visualization, I can still recite the names of every one in attendance. Having left with a treasure trove of articles from Connie, and clarity as to the intent of NLP from Michael, I'm ready to put my knowledge into practice. Thank you for a very informative workshop." --Patricia Klinger., Bellevue, WA. "Great NLP event. Good information for making sales and also improving personal development. I liked your practical examples mixed with helpful information, I hope you do more. " -- Chris Wilde., Seattle, WA. "Dotty and I just want to thank you for your course. We enjoyed every moment and know that we now have tools to help us achieve our goals. We look forward to being in your classes in the future. Sincerely, Marty and Dotty Platzner"
"I just got done with basic hypnosis class. I finished this class right on the heels of my NLP basic Practitioner training. I found this class a valuable addition to my NLP skills. If somebody is taking NLP class, they should definitely take hypnosis as well, and vice versa, because the two classes go so well together. So, now I feel that my NLP skillset is greatly enhanced! I have a lot more tools in my tool belt. And now I feel like I can help people even more with my newfound hypnosis techniques. So, I highly recommend this class for everybody who wants to enhance their knowledge." -- Roman Bogatchev, Seattle, WA. Get our free hypnosis & NLP informational monthly e-newsletter! Learn now how hypnosis can help make your life what you want it to be! The Monthly Trance, a $97 value, is yours FREE. Get your e-issues by clicking the button entering your email address below! Or you can text MINDWORKSHYPNO to 22828 to get started.